When browsing videos, blog posts and forums you’ll often find it’s the popular theme parks that get talked about the most. But as many of us already know, quality does not always equal popularity. Therefore, in this blog post, we’ll take a look at 5 up-and-coming European theme parks - the ones to watch (and potentially visit) in the near future. Despite housing one of Europe’s best roller coasters, Der Schwur des Kärnan, Hansa Park just isn’t talked about enough. Located in Germany, the park has a whole lot to offer. It’s family run and owned, which makes it feel special; there’s just a sense that Hansa Park is extremely loved and well cared for. This ethos has manifested itself in so many of the park’s most recent investments. Improvements and upgrades have been made to various areas, from the theming of the entrance to new rides like Kärnan, and more outdated areas are being brought back to life. With improvements like these, all areas of the park are becoming more inline with the themed masterpieces the park already has. Hansa Park’s 2019 addition, Highlander - a 120m (394ft) tall gyro drop tower, is a great example. Highlander will not only introduce another thrilling ride to the park; it will also bring about the theming of an older area which houses Nessie Superrollercoaster and Rasender Roland. If Hansa Park continues to simultaneously improve their older areas and install fantastic new attractions, it could quickly become one of the best theme parks in Europe in the near future. Legendia seemed to make a name for itself among enthusiasts with the construction of its flagship attraction, Lech Coaster. Prior to this, the Polish theme park was seemingly forgotten about and fairly unknown to many. 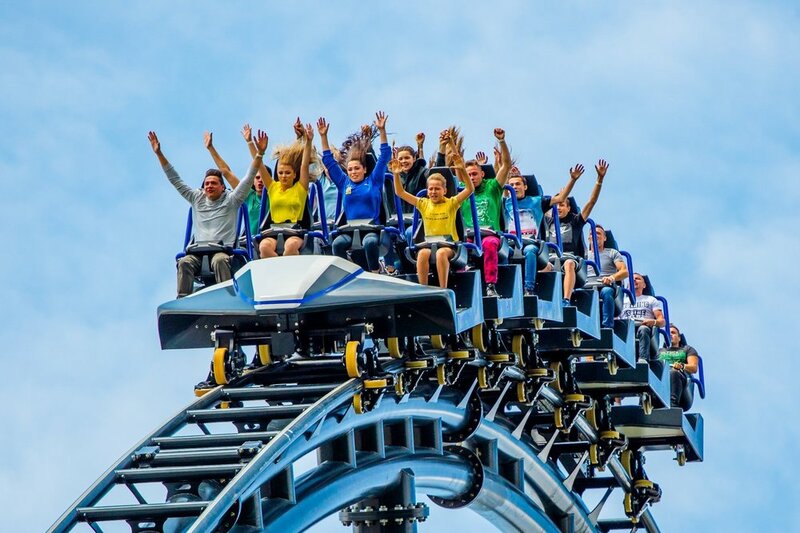 Lech Coaster opened in 2017 as the first new-generation Vekoma roller coaster to feature a lift hill. The ride is known as the Bermuda Blitz model and features a mixture of intense inversions, airtime hills and impeccable transitions. On top of all that the ride is well themed, featuring a castle structure and a rockwork fly-be alongside the park’s lake. The entire attraction took the enthusiast community by surprise and for good reason. Legendia could be onto something here; hopefully we see them continue to produce more well themed and impressive rides in the near future! Similar to Legendia, Tayto Park is another theme park which gained traction in the enthusiast community through the debut of a new ride. Their wooden coaster, Cú Chulainn, opened in 2015 and received great reviews across the board. Though small, the Irish theme park has been consistently adding new attractions ever since. In 2017 Viking Voyage was constructed - a large scale and decently themed flume ride with multiple drops - and plans are already in place to build two new steel roller coasters. These consist of a family boomerang and a new generation suspended coaster, both built by Vekoma. This major expansion is expected in 2021 and will hopefully secure the park’s future as a large scale theme park. If these two rides are themed to the high standard of Viking Voyage, we’ll be in for a treat! Energylandia is a park that’s becoming known more and more within the theme park community by the second. The thought of a new park installing a major thrill coaster every two years is appealing to pretty much every enthusiast, especially as they seem to be getting bigger each time. Located in Poland, Energylandia only opened to the public in 2014; since then, they’ve constructed a new generation Vekoma launch coaster (Formula), an Intamin hyper coaster (Hyperion) and are currently building one of the world’s tallest RMC hybrid coasters (Zadra). All this, on top of the park’s collection of flat rides, water rides and other roller coasters! Each new addition is seemingly more thought out and better themed than the last. Zadra will see the creation of an entire medieval village, helping to immerse guests into a new land. How they’ll link this theme to a huge wooden and steel roller coaster remains to be seen. Nevertheless, Energylandia is worth keeping an eye on to see which huge ride they debut next! The final park on our list is Paultons Park, located in the UK. Unlike the others, Paultons is a park designed specifically with families in mind. It has no major thrill coasters or attractions, but this doesn’t mean it should be disregarded. The park’s claim to fame came with their debut of the world’s first Peppa Pig World in 2011. Since then, they’ve been expanding at a much faster pace; in 2016 they constructed the Lost Kingdom, an extremely well themed dinosaur area, home to two new roller coasters; a Vekoma Suspended Family Coaster and a Vekoma Boomerang coaster. Older rides were also rethemed and incorporated into the new area, creating an all-new and immersive land. The high level of quality that the Lost Kingdom achieved took many by surprise; it helped to establish the park in new ways, aside from the success of their Peppa Pig brand. Since then, Paultons have actually gone on to expand its main Peppa Pig World area. However, construction is currently underway for an all new area of the park set to open in 2020, named Tornado Springs. The specific new additions that will be added within this area are currently unknown, but many speculate that a MACK Spinning Coaster could become its headline attraction. On top of this, artwork showcases another well themed land, full of new and exciting rides. If Paultons continue to produce high quality and immersive lands they could definitely grow into something much bigger in the future! These five are just some if the many European theme parks to watch closely in the near future! Hopefully we continue to see each and every one of them produce quality new attractions, with a focus on well themed and immersive rides. Which park do you think is on the rise and deserves some more recognition? Let us know in the comment section below!